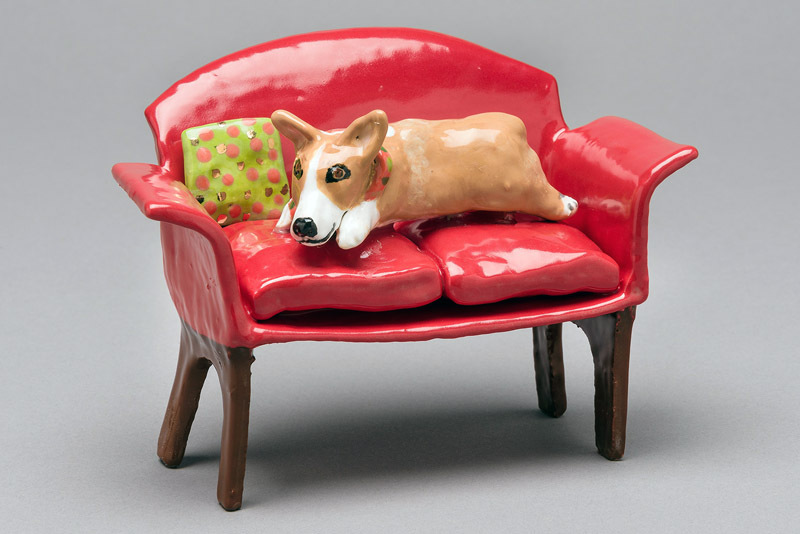 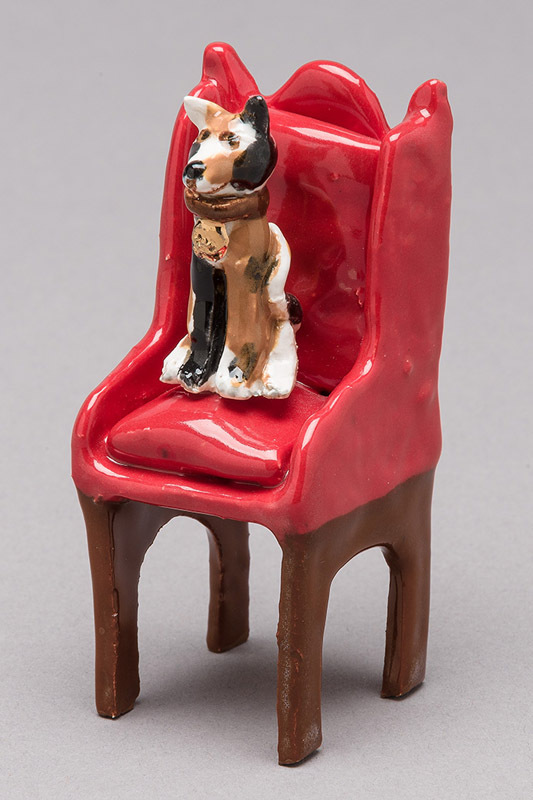 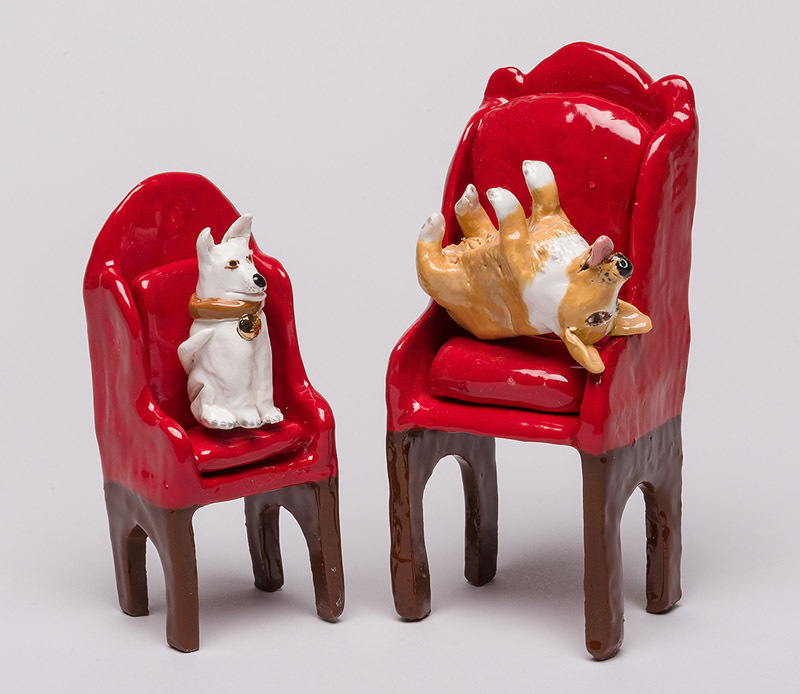 Virginia, who personally provides a loving home for a pack of corgies, several cats, half a dozen hens and numerous fish, has immortalized her love of animals by creating a series of ceramic glazed animals. 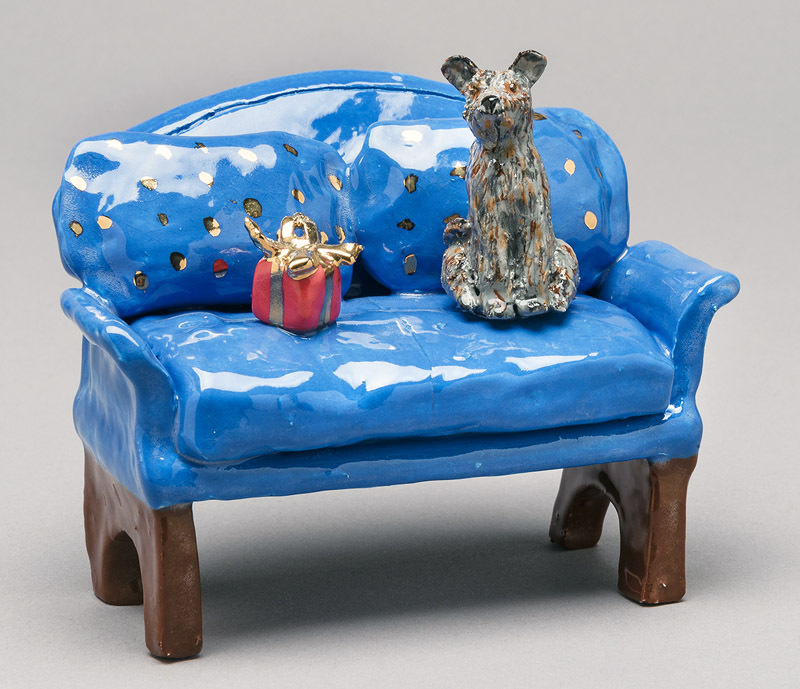 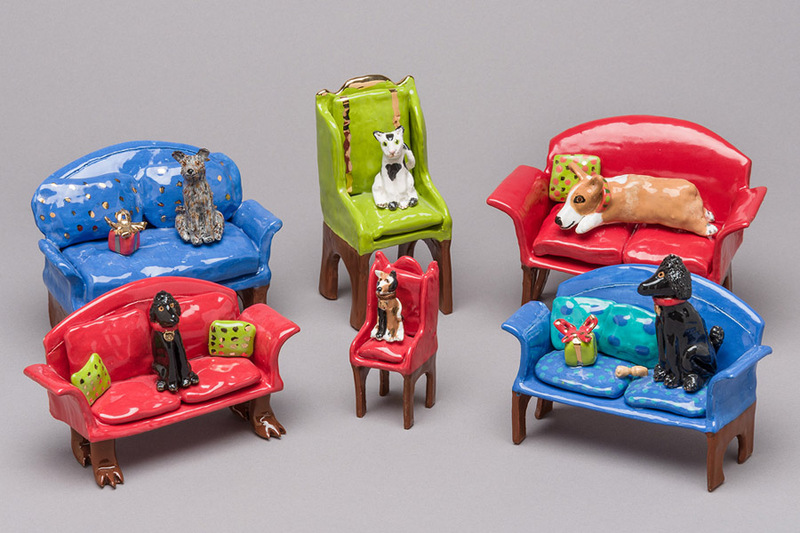 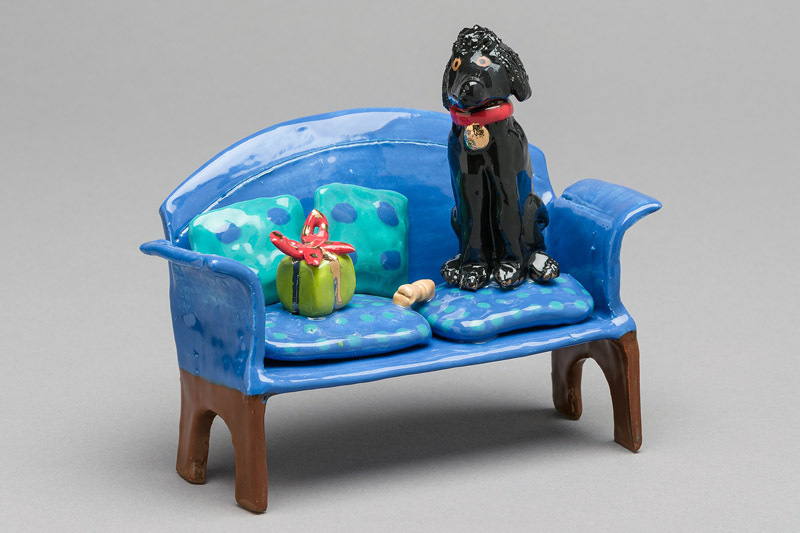 In addition to giving them padded and pillowed couches and chairs to perch or play on, the sets are accessorized with miniature presents, bones, frisbees, etc. 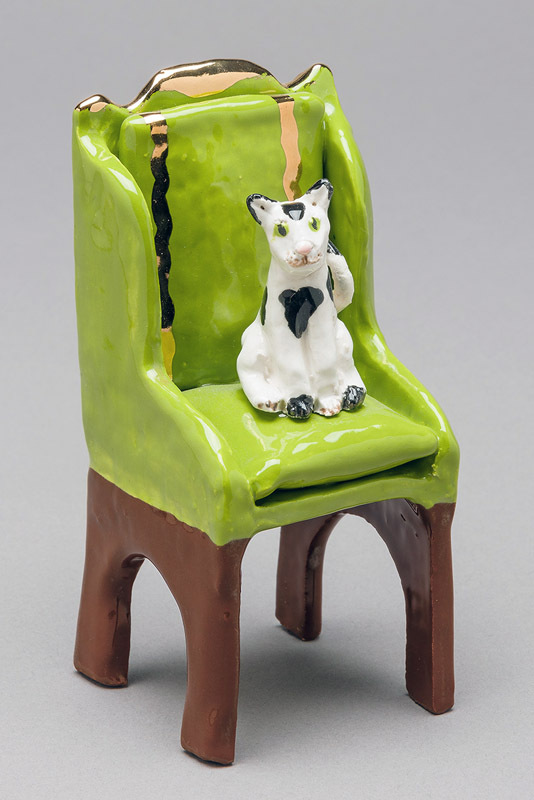 Each whimsical ceramic piece is carefully painted in detail with under glazes. 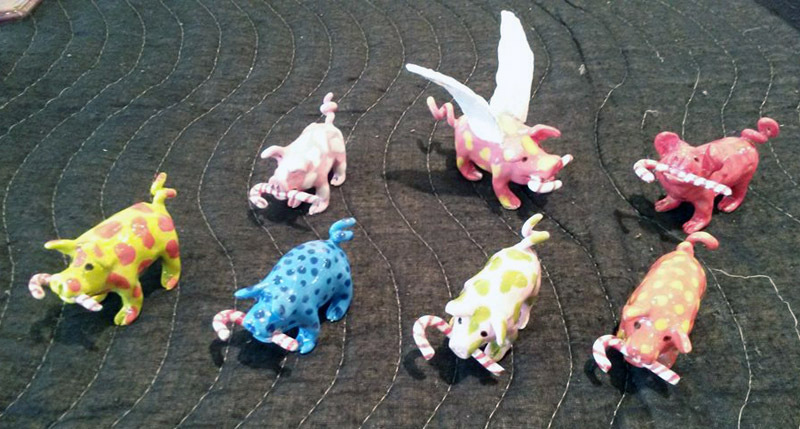 1.5" to 2" tall with wings &/or candy cane. 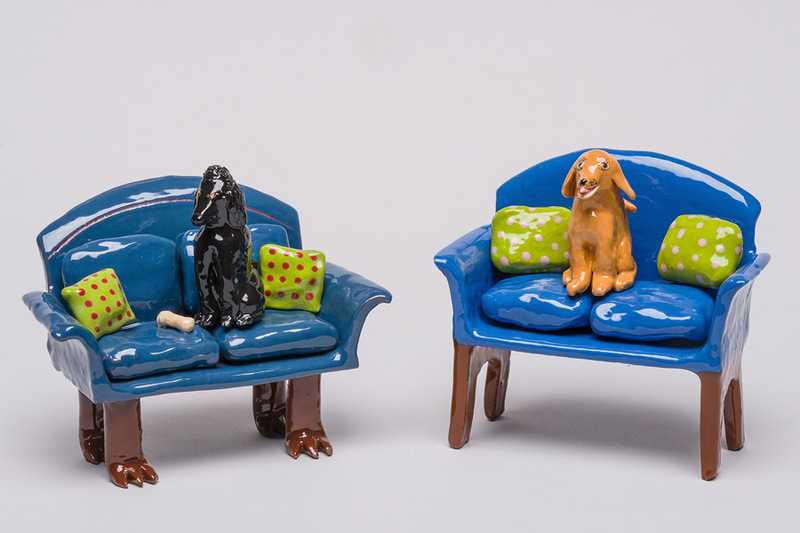 5" love seat with pillow.